After three months on the road, Bess the Book Bus finally found a home away from home. 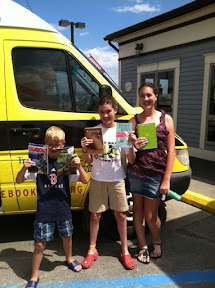 The 2011 Transitions/VSP Success is in Sight tour traveled to Maine for a full month of mobile literacy outreach. We were able to spend so much time in the state because of the hospitality from Degenhardt family and the Aid For Kids Foundation. Dawn and Ed “Hunk” Degenhardt opened up their homes in Houlton and Jonesport, allowing us to stay while we traveled to the rural parts of Maine. They also opened up their garage, turning it into a temporary a bus depot. Since the trip started in May, the Degenhardts accepted shipments from First Book, Candlewick Press,Capstone Publishers and Townsend Press. More than 9,000 books were waiting when we arrived. The restock was needed. The 2011 Transitions/VSP Success is in Sight tour approached the halfway point, giving away more than 50,000 books across 24 states leaving Bess’s shelves bare. 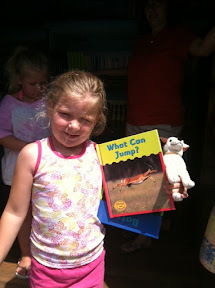 Author Rebecca Emberley helps children with activities from her book, "Adventure Girls". 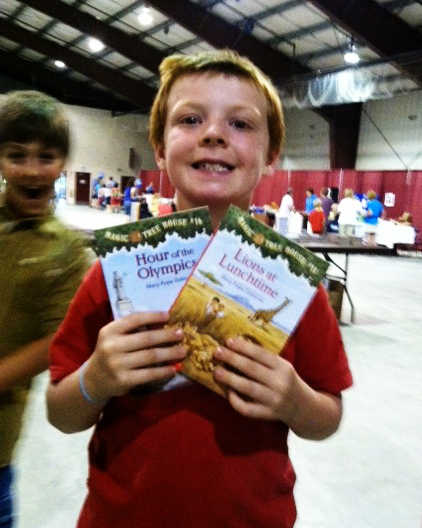 Our first event was at the Community Fair in Houlton, ME. The event was hosted by Aid for Kids Foundation, an international humanitarian organization founded by Dawn Degenhardt. 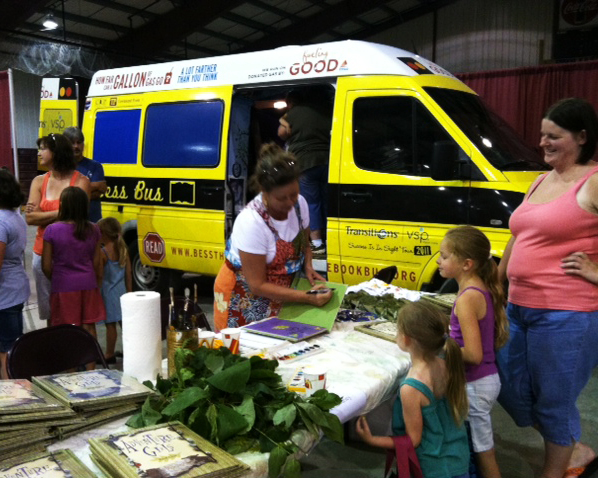 Bess the Book Bus and author Rebecca Emberley set up inside the Houlton Community Center. More than 200 children attended the event. 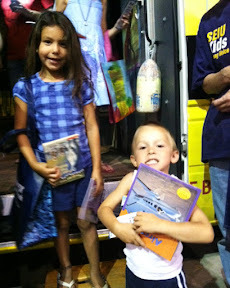 In addition to the books given away by Bess the Book Bus and author Rebecca Emberley, children enjoyed games, prizes and food provided by Citgo’s Fueling Good. During our stay in Houlton, Bess the Book Bus became a regular in town. We made frequent stops at the library, McDonalds and Citgo service stations. 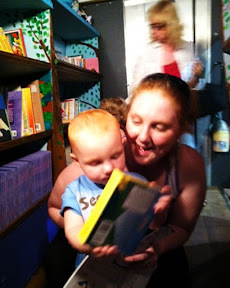 Families followed us around town, bringing home brand new books to build their home libraries. 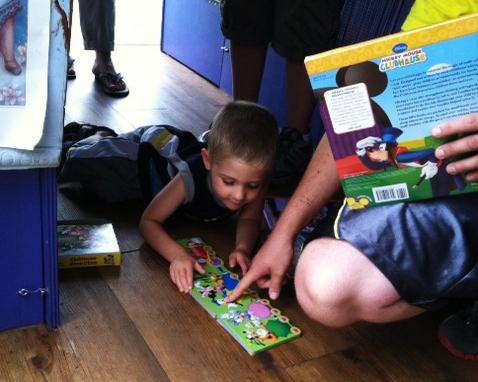 Two-year-old Kevin gets comfy on the book bus floor while his dad helps him read "Choo Choo Mickie" donated from First Book. The town of Lincoln is 70 miles south of Houlton and the second stop in the state. Bess the Book Bus arrived in time for the library’s annual book sale. Tables were lined up in the parking lot with stacks of books for as little as 25 cents. But Bess the Book Bus had a better a deal. 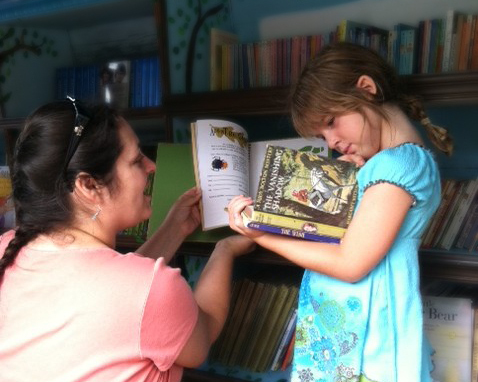 We set up on the library’s front lawn and gave away brand new books to more than 40 children. There are more updates coming from our month in Maine. Stay up to date on all of travels by following Bess the Book Bus on Facebook, Twitter and YouTube. Pictures from the Maine events and the rest of the 2011 Transistions/VSP Success is in Sight tour are also online at Picasa. Until next time, safe travel through the pages.